This article originally appeared on sciencedaily.com. All cells need nutrients, but cancer cells are notoriously power hungry. 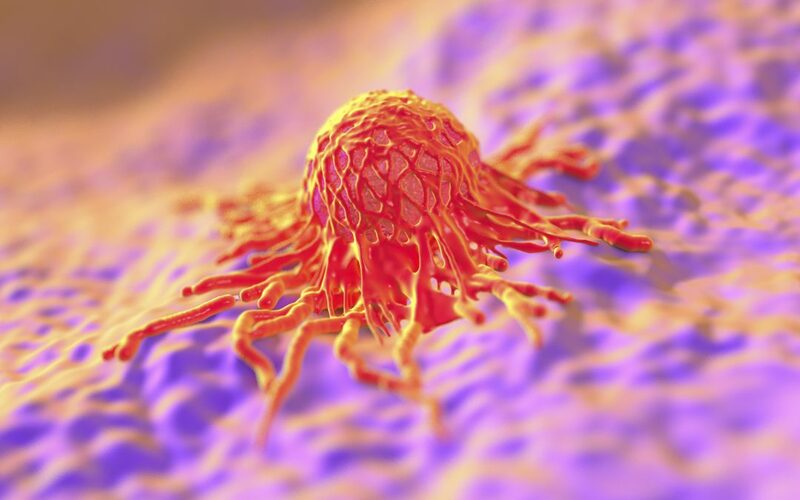 As a result, cancer cells must alter their metabolism to provide the additional fuel needed for them to survive, grow and spread. For decades, scientists have been trying to exploit this greedy metabolism as a target for new anti-cancer therapies. Duke University researchers have discovered a promising target for renal cell carcinomas. A study appearing online Feb. 1, 2016 in Cancer Research shows that the majority of these cancers rewire their metabolism in a way that leaves them addicted to an outside nutrient called cystine. By depriving the cancer cells of the amino acid cystine, the researchers were able to trigger a form of cell death called necrosis in mouse models of the disease. Chi said the study points to a promising new approach for the treatment of renal cell carcinoma, a form of kidney cancer that has historically been very difficult to cure. The disease kills more than 100,000 people a year. About three-fourths of renal cell carcinoma cases are marked by a missing VHL tumor-suppressor gene, which keeps healthy cells from developing into tumors. Chi and lead study author Xiaohu Tang, a post-doctoral fellow in his lab, decided to investigate how this single genetic change could affect the metabolism and nutrient requirement of cancer cells. Tang subjected the cancer cells to a nutrient deprivation test, removing each of the 15 amino acids from their growth media, one by one. Most of the time, the cells weathered the change quite well, slowing down their growth but otherwise remaining healthy. But Tang found that when cystine was removed, the cells swelled up and floated to the surface, a sure sign of necrotic death. The researchers then conducted a number of genetic analyses to piece together the network of genes responsible for this nutrient addiction. Normally, the VHL gene acts to suppress another gene called tumor necrosis factor alpha or TNF-alpha. When VHL is lost, the high levels of TNF-alpha beget a faster-growing, more aggressive form of cancer that sheds loads of dangerous free radicals. Cystine is responsible for maintaining high levels of antioxidants that disarm free radicals of oxygen; so when the researchers got rid of this nutrient, the cancer cells essentially died by their own hand of free radical damage. The researchers showed that the approach was successful both in tissue culture cells as well as in mice. Tang and his colleagues in the laboratory of Dr. David Hsu at the Duke Cancer Institute implanted renal cell carcinoma tumors into mice and then treated the animals with sulfasalazine, a drug that blocks cystine uptake. They found that the treatment induced necrosis and significantly delayed tumor growth. Chi says that better, more potent drugs will be needed to knock out the cancer entirely. But he believes that targeting cancers for destruction by necrosis and not by apoptosis, the other main pathway to cell death, holds great promise therapeutically. Dr. Xiahou Tang is a Research Assistant Professor in the Department of Nutrition at the UNC Nutrition Research Institute. He focuses on defining the underlying mechanisms of obesity-cancer associations and developing nutrition intervention to prevent tumor development using molecular and omics technologies.